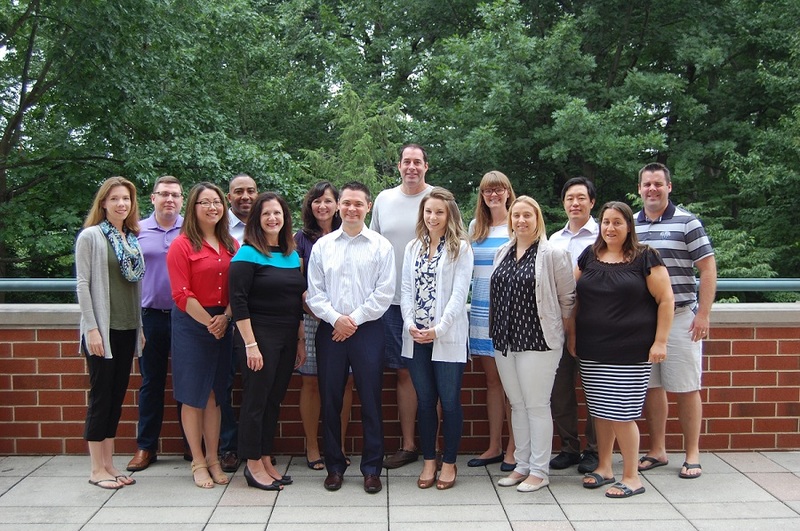 PBA President Sharon R. López welcomed the recently selected BLI Class of 2017-18 at the YLD Young Lawyer Summer Summit in State College, July 26-28, 2017. Pictured left to right are Keri Schantz, Jon Higgins, Sharon Barney, Donald Gual, BLI Co-chair Melinda Ghilardi, President López, Frank Paganie, PBA President-elect Charles Eppolito III, Amber Reiner, Jordan Fischer, Katie Nealon, BLI Co-chair Philip H. Yoon, Gina Miller and Michael Lyon. Pennsylvania Bar Association President Sharon R. López has named 11 Pennsylvania lawyers to the 2017-18 class of the association’s Bar Leadership Institute (BLI). Read the media release on the participants named to the 2017-2018 Bar Leadership Institute (BLI) class.